The photos of biological elder sister of Lee Min Ho were revealed. Lee Min Ho who becomes popular playing the role of young Yang Myung in MBC hit drama series The Moon that Embraces the Sun used to publish on his mini-homepage in 2009 the photos that he shot together with his elder sister, attracting attention. 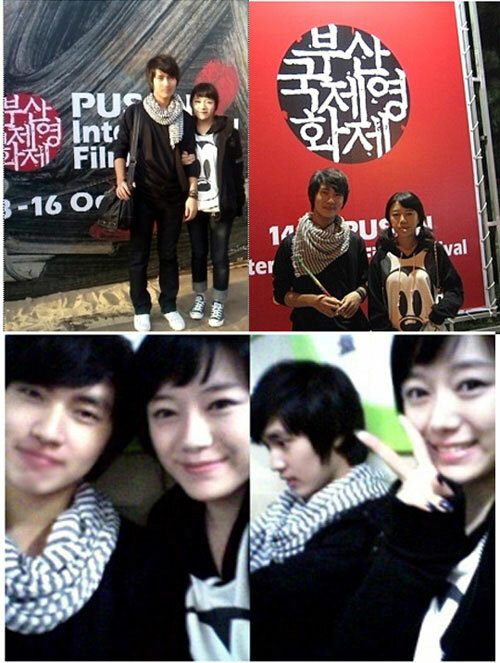 Lee Min Ho who attended the Pusan ​​Film Festival with his sister was holding the arm of his sister closely, revealing the siblings’ feeling. The beauty of Lee Min Ho’s sister which does not lose to actress is very eye-catching. Netizens commented, “Sister of Lee Min Ho is very beautiful,” “Warm siblings”, “Lee Min Ho’s sister is charming,” and so on.